It doesn’t matter if you are an owner/manager or if you are a professional Houston apartment management manager, the one thing you don’t ever want to do is put off repairs. In most cases, professional firms and their employees are pretty good about fixing reported problems quickly. However, owners who make the decision to handle their own managerial needs are a different story. It can be pretty tempting to put off fixing a leaky faucet or letting the roof go because “it isn’t that bad yet.” This is especially true for new investors who are still struggling to turn their investment properties into profitable endeavors. After all, a penny saved is a penny earned, right? Not in this case. Below are three important reasons why you shouldn’t ever put off making repairs to your investment properties. The Problem will Get Worse. All major problems associated with real estate start out as small problems. Some are caught early and others are not caught until the problem is a big problem. If one of your tenants reports a small leak or some other small problem, it’s wise to fix it immediately to prevent a major problem from occurring. Major problems always take more time and money to fix, so nip the problem in the bud when it is first brought to your attention. It Will Save You Money. 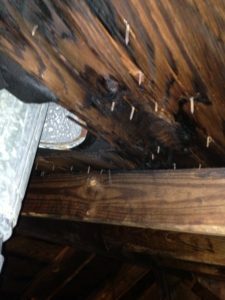 Sure, you don’t feel like spending $5,000 replacing a roof, but if you wait until the roof is missing a lot of shingles to replace it, you may find that some of the wood beneath the shingles has rotted or, even worse, water has leaked from the roof between the walls and created black mold. If one of the latter two situations occurs, the original $5,000 cost to replace the roof will seem like pocket change because now there is much more wrong with the rental than just the roof. This applies to all small problems. If you fix them when they’re small, you’re going to save money in the long run. Tenants will Remain Happy. If for no other reason, fix reported problems promptly to keep your tenants happy. If your tenants remain happy, they are more likely to renew their leases which will keep money flowing into your account.